Today’s the BIG GAME! 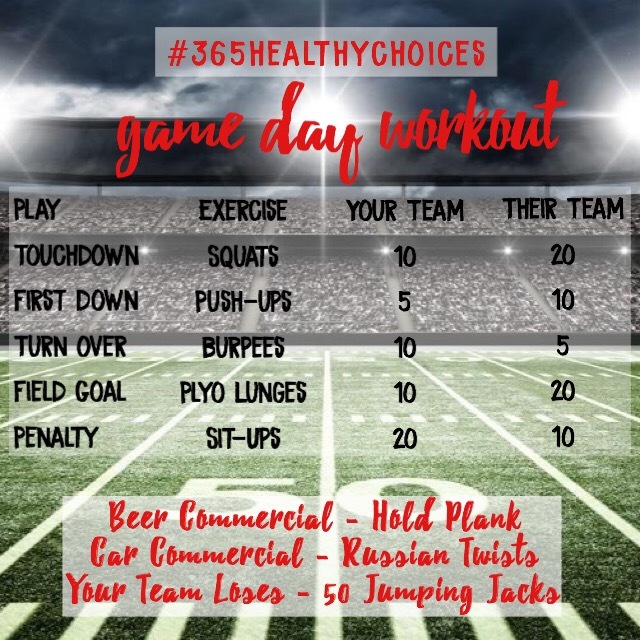 You may be sitting on the edge of your seat holding your breath with ever play, but if you are anything like me and looking for something to enhance the day a bit (in addition to the commercials and half time show of course) here’s a little workout you can do depending on the happenings of the game! Feel free to post a selfie or 2 using #365healthychoices! I’d love to see who’s playing along!